According to the requirements of "Standards for the Quality of Higher Education for Overseas Students in China (Trial Implementation)" issued by the Ministry of Education of the People's Republic of China, College of International Education provides free basic Chinese course on winter vacation to improve the Chinese language proficiency of the international students in our university. The goal is to lay a solid foundation for the HSK exam in 2019, and to provide conditions for international students to graduate successfully. International students are expected to sign up enthusiastically. Class time: Session I :Jan 22--28, 2019. The whole duration is 14 days. 1. The applicant should rank the top 20% in daily attendance, or the top 30% in academic performance. Those who have the certificate of merit evaluation or reward at school level are preferred. During the course period, it is required not to be late, or be absent or leave early. 2. As this course is a grading test class, Chinese proficiency of international students is required to reach the level of HSK III to prepare for the HSK IV in 2019. 3.This course will be written in the credit record. Ifthe applicant can't attend class due to illness,he/she should ask for a leave from the assistant teacher and issue a hospital certificate. If he/she is absent for 8 class hours withoutanyreason after registration, the course qualificationand the qualification of this year's prize evaluationwill be both canceled.The other students will fill the vacancy. If the applicant isinfull attendance, this year's awards will be given priority. 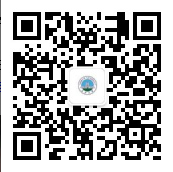 4.The applicant should forward WeChat subscription “Study in YU” and collect 15 likes. 5. The enrollment should be up to 15 students at least. The crash course won’t start if less than 15 students. 6. The registration will start at9:00amon 21 January,2019, and the deadline is at12:00 amon 22 January,2019. contact Person: Mr. Rowen,registration venue: ISO. TEL:8060097. 7. Class venue: 14th building, room 101. Jinqin Liu, female, phd in linguistics, visitingscholar inCalifornia State University, Chico.In 2003,she obtained the certificate of teaching Chinese as a foreign language and has been engaged in teaching Chinese as a foreign language for more than ten years.She has rich experience in teaching Chinese as a foreign language. Huaping Li, male, Ph.D., associate professor. Heis mainly engaged in teaching and research of ancient Chinese, critical interpretation of ancient texts,Chinese history and other linguistics. Heisundertaking one project of the Ministry of Education Planning Fund and two projects of the State Language Commission on the protection of language resources.